QueQ is a mobile app that does away with lines and unnecessary waiting by bringing the queue to our smartphones. Users will be able to book for queues as far as two kilometres away from the destination, or at a distance of their preference. The app allows people to view the queue at a location around them—for example at a mall or within the vicinity of a commercial development. To wait in queue, users simply request a number from the app and can wait for their turn via smartphone instead of sitting in a waiting area or standing in line. Queue numbers can be booked two kilometres away from the destination, or at a distance of your preference. Smartphone notifications alert users when they’re coming up in the queue. QueQ was first incorporated in September 2015. Prior to founding QueQ, the founder and CEO, Rungsun Joh Promprasith ran a Software Development House company, which he founded. 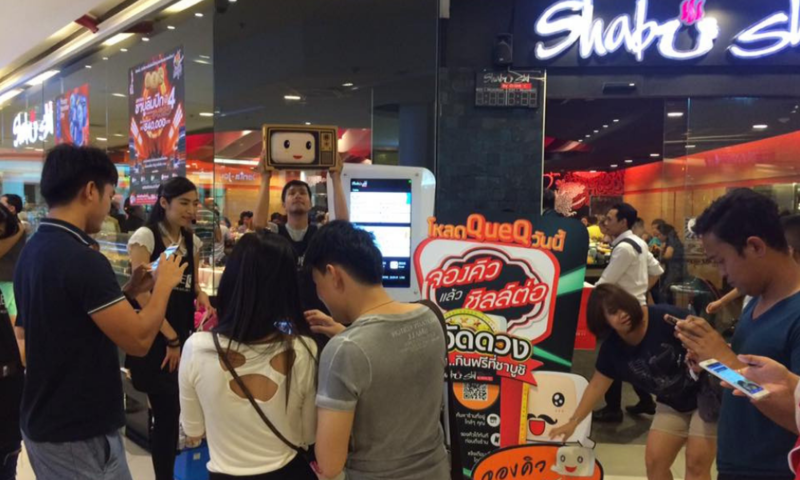 The Thai national came up with the idea for QueQ after he was tasked by a restaurant in Bangkok to develop a queuing solution. 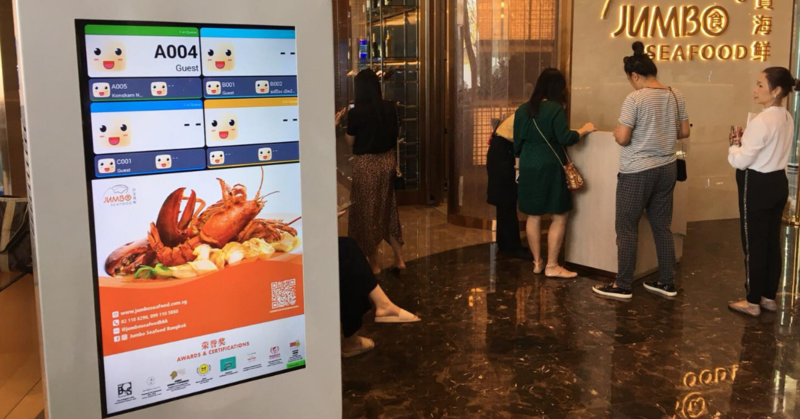 “The solution was a huge success and as word got out, there were more of such requests from other restaurants which then prompted him to pivot the business,” explained Shang Leong, the Country Manager of Malaysia and International Business Development Director for QueQ. As for those who have been to Bangkok regularly, you probably know that it’s a crowded city and sometimes can be more hectic than our own Kuala Lumpur. Rungsun was fed up with his experiences of having to wait in queue at local banks. He went about thinking that there must be a better way to queue than to stand or wait in line. QueQ was then born as a result of these problems and this new focus. QueQ is currently operating in Thailand with over 4 million active users in over 80 large restaurant chains, over 2,000 F&B businesses and over 800 malls across the nation. However, with such success in their home turf they’re expanding the business footprint to cover five countries in the Asia Pacific region, including markets like Taiwan and Malaysia. Shang explained that Malaysia was chosen as one the markets to expand to as it shared many similarities with Thailand; both Thais and Malaysians love food, retail shopping and simply spending time in malls because they want to seek refuge from the extremely hot, humid weather and unpredictable rain. “We’ve invested resources to begin exploring the Singapore and Indonesian markets this year too but our key priority is still to help Malaysians be better able to save time while still dining at their favourite restaurants,” he added. QueQ doesn’t just want to help you line up for restaurant queues but it’s looking to transform itself from a queuing app to become a lifestyle platform that addresses a pain point involving wasted time for daily activities. “It is not only designed to solve a queuing problem, but to solve any kind of time-wasting problems in people’s daily lives. Once they have a problem like this, they will think of QueQ,” said Rungsun in an interview. With their Series-A fundraising led by a Thai telecom player and also an injection of VC funds from South Korea, QueQ will be looking to change from an app to an online-to-offline platform offering any kind of service, from deliveries and cashless payments where the ultimate goal is to help save people’s time in their daily activities. “We are working towards being ingrained into people’s busy lifestyles as QueQ is just more than queuing—while at the core it serves the function of being a queue app, it’s fully armed with the ability to book an appointment at your favourite retailer, has a takeaway functionality, a payment feature, the ability to send the right discount and promotion at the right time to the user and many more,” Shang explained. According to Shang, if he had to put QueQ in one word it would be revolutionary. 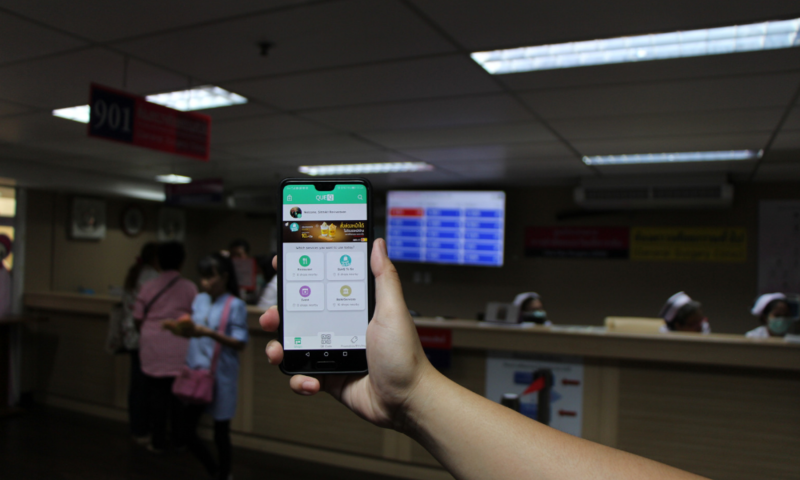 In Thailand, QueQ is already present in hospitals as well as banks and even in events as it can help manage their queuing systems better. In Malaysia, QueQ is only available in certain F&B outlets such as BBQ Plaza in in One Utama, Sunway Pyramid and AEON Bukit Tinngi with more in the pipeline. QueQ will be looking to officially launch in Malaysia this March 2019. As someone who hates queuing especially for food, I’ll be looking forward for QueQ to further expand in the Malaysian market and not only in the F&B category as governmental agencies can apply such tech to their queuing systems to make everyone’s lives easier. No more lining up at 6 in the morning waiting for the doors to open only to be then told to come another day as the numbers have run out for the day or worse yet, “system down”. If you would like to try the QueQ app, you can download it on Android here and iOS here.